While smoking is still legal in Australia, restrictions on smokers are getting increasingly tighter and fines are in place for ignoring them. Councils across the country are banning smoking in public spaces, particularly in city centres, and it appears that the City of Sydney is inclined to follow suit. The council has voted in support of a proposed trial ban on smoking in Martin Place, in the centre of Sydney, a move which has led smokers to complain about discrimination. The council voted to advance the proposal for a trial ban last month, and staff will now investigate how the trial will work and report back to council. Although fines have been enforced in other cities, it’s not yet clear how a proposed ban in Martin Place would be policed. While the details have not been finalised, it is expected the six-month trial will begin this year. 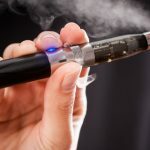 Over the past decade or so, smoking has gone from being an activity that can be done virtually anywhere to being prohibited indoors. 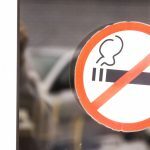 Since smoking was banned in indoor venues and premises, the restrictions have also spread to cover smoking within close proximity of public buildings and shopping centres and within certain distances from children’s playgrounds and schools. This move to ban smoking in the Sydney CBD follows on from other cities that have banned smoking from their main public areas. Brisbane banned smoking in the Queen Street Mall in 2011 and in Victoria, Melbourne City Council underwent a similar trial last year to banish smoking from an area in the mid city. Many members of the public have shown support for the proposal, while others are less enthusiastic. According to a recent survey, depending on the time of day, between 3% and 8% of people at Martin Place will be smoking. Will the ban be enforced? 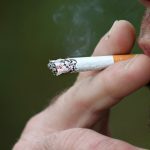 Although councillors are currently saying that the ban might not be enforced with fines and council rangers, in other cities, similar bans have been policed with Brisbane smokers being fined up to $220 for violating the laws. Other smoking bans are regularly enforced in Sydney including those that prohibit smoking at bus stops, taxi ranks and at the entrance to public buildings. The penalty for violations of these rules is a $550 fine. 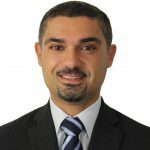 Although there were a number of fines issued under anti-smoking legislation last year, the figures are fairly low, with the NSW Government stating that it prefers to take the approach of educating and providing opportunities for smokers to alter their behaviour. Are the restrictions likely to expand in the future? It has been speculated that the restrictions could expand in the future to cover other areas of the Sydney CBD including Pitt Street Mall. Restrictions against smoking at taxi ranks, bus stops and the entrance to public buildings are due to expand later this year to cover a range of different venues, including cafes, hotels, clubs and restaurants. 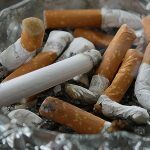 Given the increase in restrictions on smokers over recent years, it is looking likely this will continue to increase in the future and while smoking itself is not yet illegal, it is becoming increasingly more difficult for smokers to find places to light-up without running the risk of getting a fine. Why are there so many restrictions against smoking? 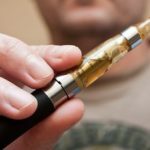 Many of the restrictions have come about in recent years, as the government has sought to respond to public pressure to mitigate some of the health issues that can be caused by smoking. 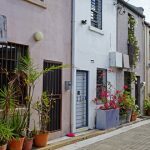 According to the NSW Government, the changes are due to emerging evidence that second-hand tobacco smoke can affect the quality of air in outdoor locations as well as indoor locations. Concerns have been raised in particular about the effects of second-hand smoke on children which has led to smoking being outlawed at public venues where children are likely to be present including swimming pools, playgrounds and sports grounds and other recreational areas. The move to introduce restrictions in Martin Place has had a mixed response from the community. Many feel that it will be of benefit to non-smokers and act as a deterrent to smokers, encouraging them to quit the habit. Smokers have stated that they will move elsewhere to smoke while there are other places available. Although smoking is not technically an offence, smoking in public places is certainly becoming increasingly difficult.